Since becoming an autism mom, I have learned to accept many things. Tad will continue to murder English grammar, probably forever. Thumper needs to listen to the 20th Century Fox fanfare to be happy. And he needs to jump while listening to it. They will never look at the camera at the same time unless I am playing a Sail Cat video. Which I clearly wasn’t in this picture. But I also know that they love us unreservedly, and we love them beyond all measure. And everything we do for them is worth it. 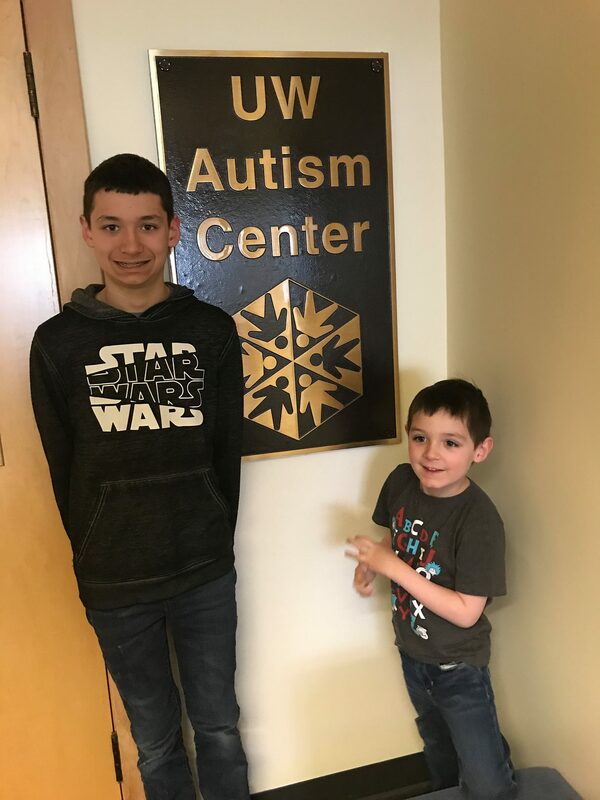 This entry was posted on Tuesday, April 2nd, 2019 at 11:07 pm	and is filed under Autism Adventures, Children.